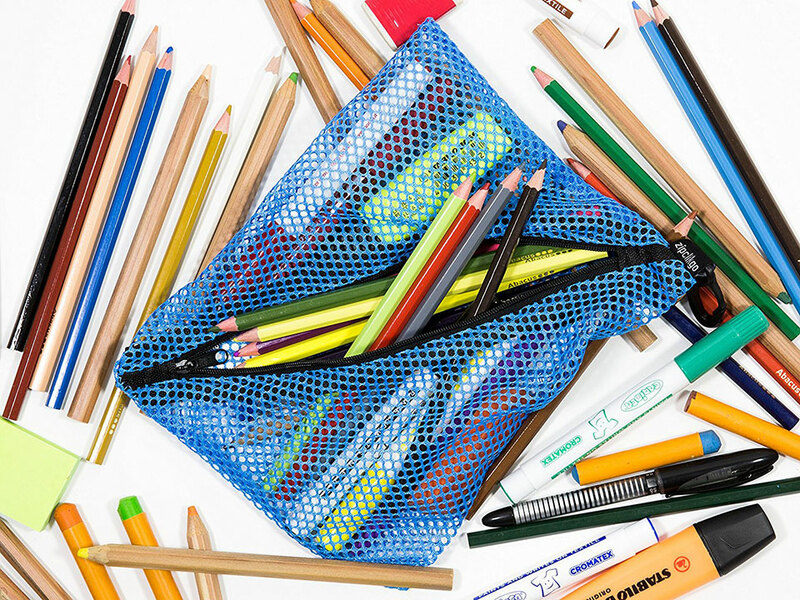 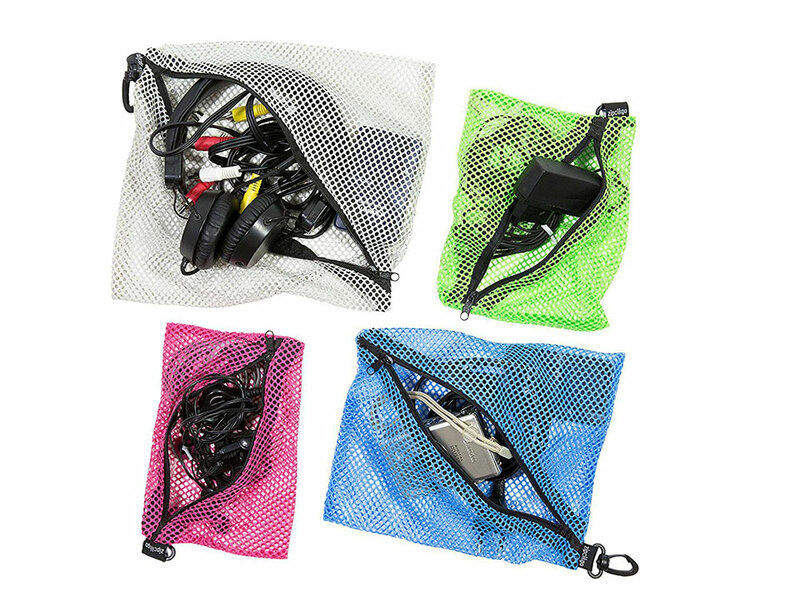 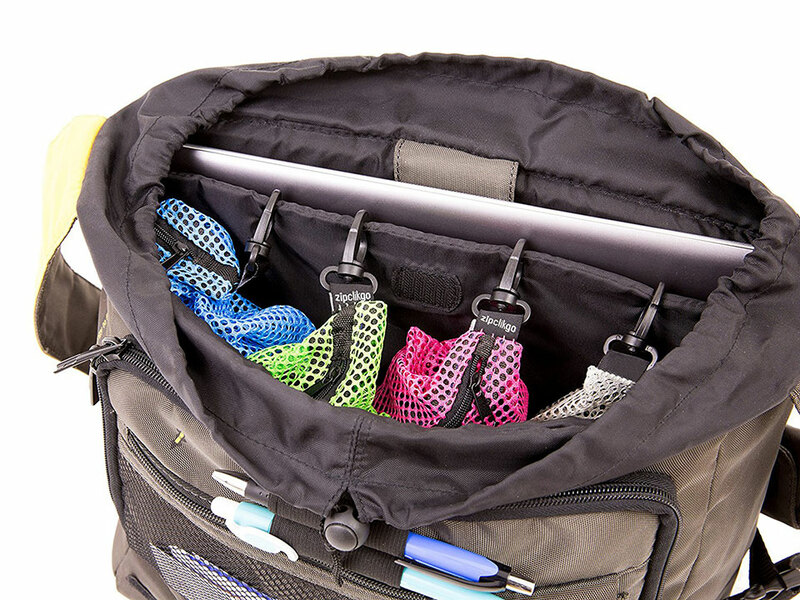 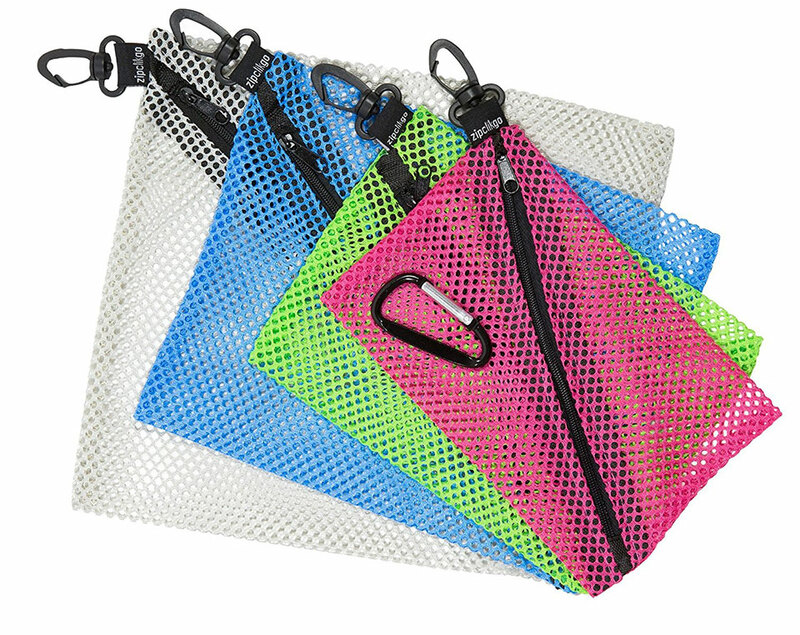 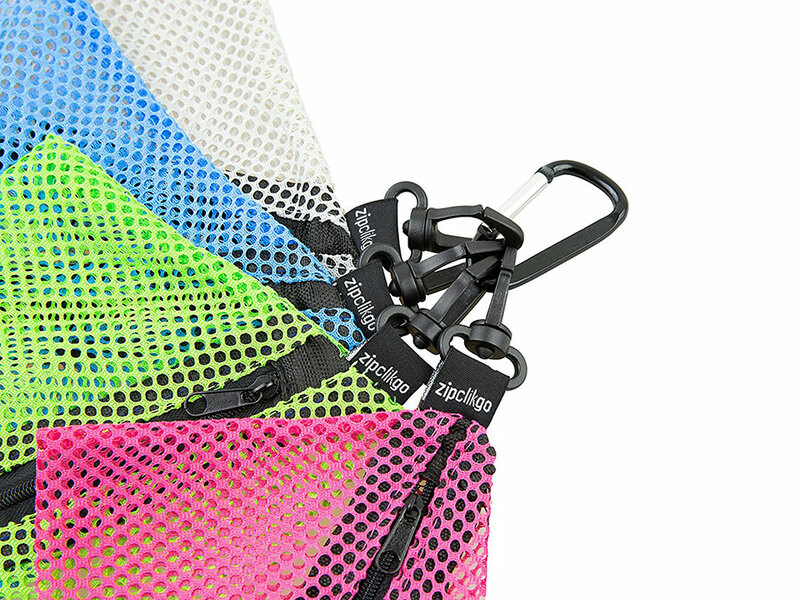 ZipClikGo’s mesh organizer bags have a diagonal zipped opening, making it easy to add or remove items. 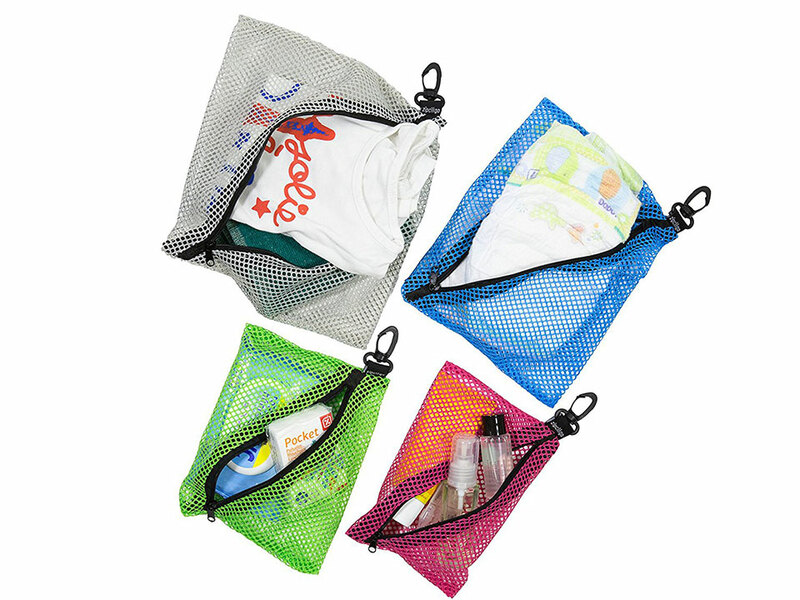 They also have a snap-on clip so you can further organize them in or out of your main bag. 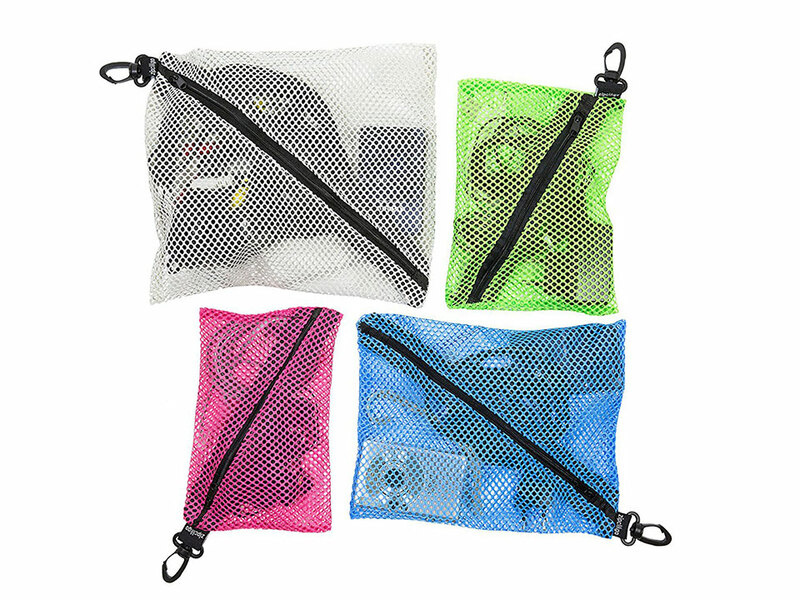 Each pack contains four bags in different sizes and colors.